Oceans cover a good portion of our planet, yet we know less about the sea floor than we do about Mars or Venus. But as technology races ahead, so do scientists, who are working fast to learn about these watery expanses. 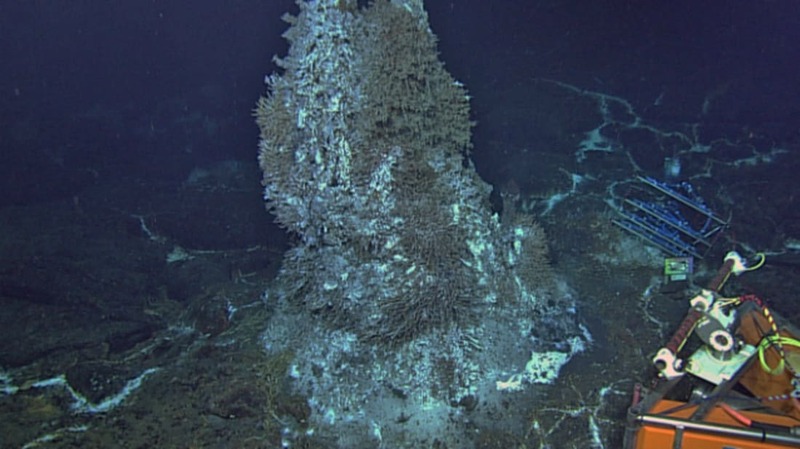 Today, the National Science Foundation (NSF) announced that seven new underwater observatories have begun transmitting data, including a live video stream from a seamount in the Pacific. Unlike Cousteau’s Conshelf, the new observatories are unmanned, a fact that does away with some obstacles while creating others. Still, as of today, the project’s 900 sensors are up and running, transmitting from sites off the coasts of Oregon, New York, Alaska, Greenland, Argentina, and Chile. If oceanography data floats your boat, head over to the OOI website to explore the transmissions in real time. If you’re more the visual type, you’ll want to check out the project’s streaming video, which transmits live from a hydrothermal vent on the Axial Seamount for 14 minutes every three hours. You might think a vent gushing 500°F mineral water would be a barren and inhospitable place, but in fact the neighborhood is densely populated with sea snails, sea spiders, tube worms, palm worms, and limpets.